You probably don’t look forward to tax season. Tax time means gathering documents, doing some math, and trying to understand current tax regulations. And many taxpayers, especially seniors, are overwhelmed when it comes to preparing their taxes. Maybe you’re not sure what laws have changed this year or how you can maximize your tax savings. One great place to start is with understanding the many tax breaks available to taxpayers. As a senior, you’re in your prime for taking advantage of the many tax credit and savings programs available. Tax credits are subtracted from the total amount of income tax you owe. That means if you owe $1,000 in taxes and qualify for $500 in tax credits, you’ll only owe $500 in taxes when you file. Below are three tax credits that many seniors qualify for but don’t think to include when filing their taxes. This tax credit is specially designed to give a break to seniors and individuals who are totally and permanently disabled. Taxpayers must meet some basic conditions in order to be eligible to receive this credit. Tax deductions are money that you can subtract from your income before you determine how much tax you’ll owe. Deductions can add up quickly, which means substantial savings on your taxes. Some of the most common tax deductions are described below. Out-of-pocket medical and dental expenses that exceed 7.5 percent of your adjusted gross income can be deducted on your taxes. 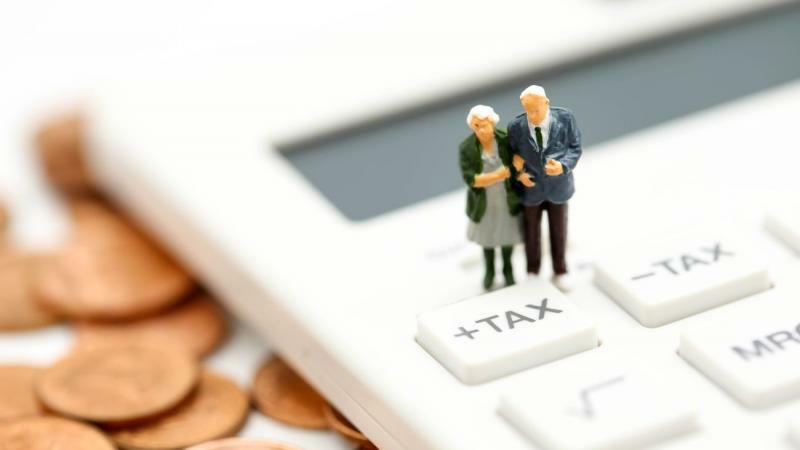 This deduction is particularly valuable for seniors, who often have higher out-of-pocket medical costs than younger taxpayers. Be sure that you understand what qualifies as a deductible expense before you file your taxes. When you sell a private home, you are required to pay something called capital gains tax. You can reduce this tax by including the costs of selling your home when you calculate your total profit, also known as your gain. However, this credit can be tricky to calculate. You should work with a qualified tax professional to determine what you can claim. If you paid refinancing points on your mortgage in 2018, you may be able to deduct those points under the home mortgage interest deduction. You’ll need to meet several criteria to qualify, but this deduction can be very valuable if you are eligible to claim it. This is another deduction that you should work with a tax professional to calculate. If you made charitable contributions to a qualifying non-profit group, you may be eligible to deduct some or all those donations. You can review the IRS’ publication4 to determine what donations you’re able to deduct and how you should record them on your income taxes. Try donating only to organizations that send you a record of your yearly giving around tax time. If you’re self-employed and you, your spouse, or your dependent pay Medicare premiums, you may be eligible to deduct some or all the premiums from your taxes. For 2018, you can deduct Medicare expenses less than or equal to the self-employed individual’s earned income. If you have a long-term care insurance policy, you may be able to deduct some of the premiums. These are considered unreimbursed medical expenses. There are different limits and variables that impact the total deduction you can claim, so be sure to review them before you file your taxes. Tax advantages are special economic bonuses that are given for certain types of investment accounts. These advantages are designed by the government to strengthen the economy. They’re particularly beneficial for seniors because they often have valuable investment accounts. In some limited situations, dividends that you were paid but were immediately reinvested in stocks may not be counted as taxable income. In general, this is only true if you weren’t given the option of receiving a check for your dividends instead of reinvesting them. Be sure to consult a tax adviser if you think you might qualify for this exemption. Knowing which tax credits and deductions you qualify for is one of the best ways to ensure that you’re getting the tax breaks that you deserve. Of course, doing the paperwork to claim the appropriate credits and deductions can be a challenge. Working with a tax professional is a great way to reduce your tax liability or increase your refund. Therefore, start your search for a qualified tax professional today, so you can realize the maximum benefits on your taxes this year.